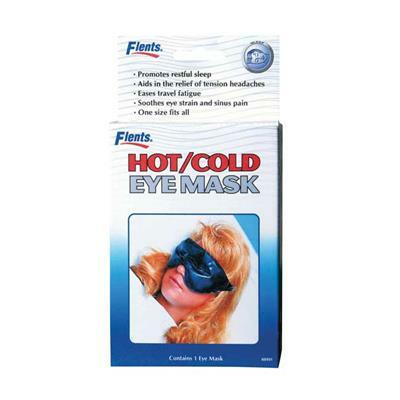 This cooling eye mask conforms comfortably to the eye area, blocking out intrusive light to ensure maximum comfort. Place the mask over your eyes to relieve symptoms of migraine, as well as eye pain, headaches, sinus pain and eye strain. This eye pad is also used for cosmetic purposes, to naturally reduce puffiness around the delicate eye area. Hot and Cold Therapy provides pain relief for a variety of complaints and conditions. We have a wide range of hot therapy and cold therapy gels, creams, reusable and instant packs, as well as combined hot/cold therapy products that work cohesively to help you recover faster.